One of the…interesting side effects of Class Halls in Legion was the absolutely crazy amount of gold you could make just from doing missions. Stacking the deck enough meant you were collecting potentially thousands of gold on a daily basis. I left Legion with far, far more gold than I would ever realistically need – although I did, and still do, avoid the ridiculously expensive mounts. Yes, the Auction House mount is cool, but I’m an engineer so I don’t really have to travel far for an AH anyway. However, while Battle for Azeroth has definitely given us plenty to do at endgame, it’s missing that overwhelming downpour of gold found in expansions prior. There are missions with gold rewards, yes, but the rewards are a fraction of what we picked up last expansion. World Quests deliver gold as well, but it’s not in the same numbers. Emissary quests will occasionally pop up and offer you a good 2,000 gold reward, or Paragon chests will sometimes contain a small mountain of gold. But those are kind of dependent on the luck of the draw for the day, as far as Emissary quests and rewards go. So here I am, scratching my head and trying to remember – in the days before Legion’s bounty, just how did I go about amassing gold? More to the point, are those methods workable now? Prior to Legion, a lot of my gold was gathered off of simply selling visually-appealing gear and picking up on the transmog market. With the addition of the account-wide Wardrobe, that gear isn’t selling as well as it used to. It’s still pretty – it’s just that a lot of people already have that gear stowed away in their collection by now. This is the point where I turn the question over to you guys. How are you making gold these days? Are you selling crafted items? Are you selling materials like herbs and ore? What seem to be the best sellers these days? Do you target World Quests with gold rewards? Are you handing the gear you don’t need to the nearest vendor, or are you scrapping it all and selling the parts? 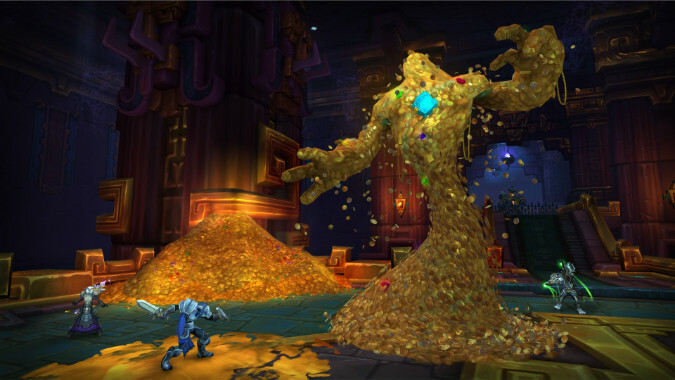 What methods are working for you – or, in the aftermath of Legion’s waterfall of endless wealth, are you simply not concerned with gold these days at all?